BlueSky Pool Pros applies industry-leading expertise to properly maintain your equipment and water chemistry. Keeping your water clear is our top priority! We take pride in the weekly maintenance of your residential pool, so you can relax and enjoy the clean surroundings. Get Professional Pool Services Today! 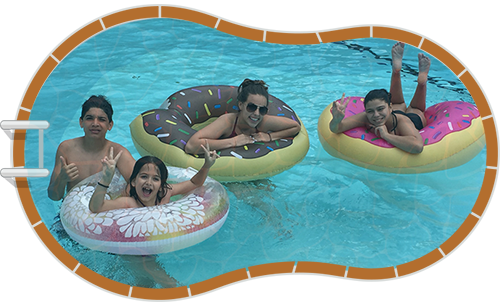 Family-owned and -operated, BlueSky Pool Pros is the premier pool cleaning service in Katy, TX. We provide expert pool cleaning, repair and maintenance for residential pools. We apply years of industry experience to make your pool clean and inviting. Our team offers weekly maintenance of pool water chemistry, pool wall brushing, water skimming, waterline tile cleaning, backwash filter service and pool vacuuming. We’re always working hard to keep your waters clear and your equipment running smoothly, so all that’s left for you to do is jump in and enjoy! We are locally-owned and family-operated, with over 7 years of experience. We offer expertise in residential pool service. We offer free estimates on all products and services. Our team offers weekly maintenance to keep your pool clean and inviting. 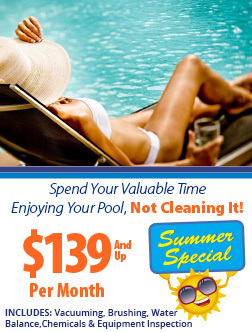 Enjoy your pool without the fuss—leave the maintenance to us! From cleaning to pH treatments, we do it all so you can kick back and soak in peace. Get a quote on services today. "BlueSky Pool Pros is a family-run business with many years of commercial experience. Clients are treated with care & professionalism. Adam b..."